So, just who do you think you are? Be careful how you answer, because your body will listen and listen well! Your habitual thoughts, beliefs, and statements about your health, your ability to recover from illness or surgery, and your prospects for living a very long life have a far greater effect upon your physical well-being than you could ever imagine. For good or bad. Yes, for good or bad. Feed your body negative, misinformed, and disempowering thoughts and your body will listen--and react accordingly. But feed it with the 500 powerful, positive, healthful, and life-enhancing affirmations in this audiobook and your body will listen, listen well, and thrive like it has never thrived before! Just as highly-successful individuals from all walks of life will confirm: Affirmations work--affirmations work wonders, for, just as you will discover, your mind doesn't just affect or control your body--it literally creates it! Read those words again: Your mind doesn't just affect or control your body--it literally creates it! This, according to hard science. 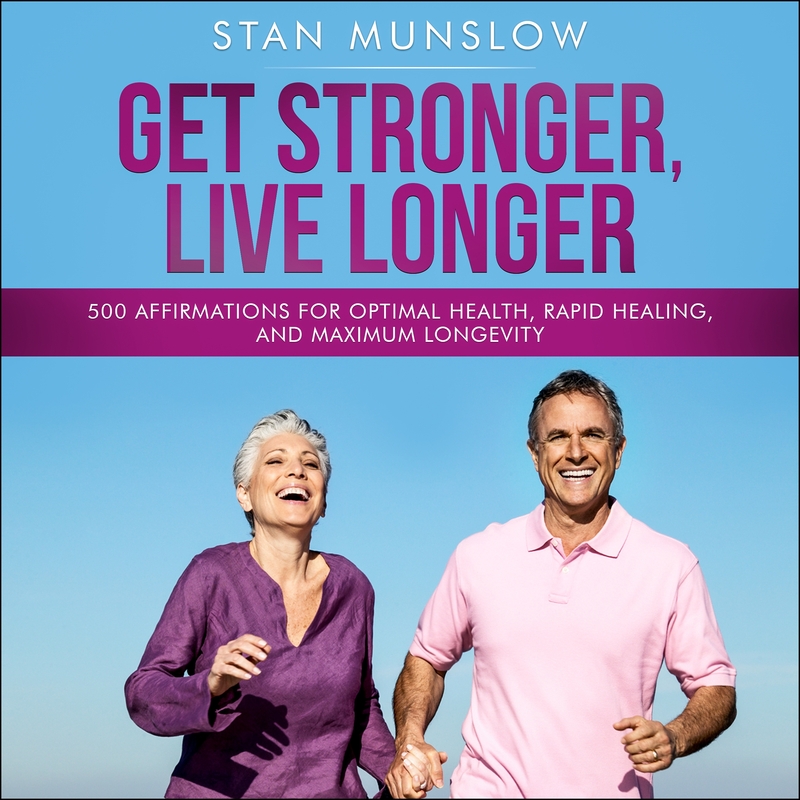 So, put these 500 powerful affirmations to work and start creating a healthier body--one that remains healthier than ever before, one that heals more quickly from illness or surgery, and one that will will provide you your best odds yet on living to a very ripe and robust old age! Stan Munslow is an author and educator. He has spent the past twenty years researching aging, longevity, and quantum healing and, at 58 years old, he has never been hospitalized, never had surgery and, other than a touch of flu thirteen years ago, he has never been sick. His morning workout routine includes two hundred nonstop pushups and he moves through his day with more vim and vigor than most teenagers. He lives in Rhode Island with his wife and his Maltese pooch, Boo.